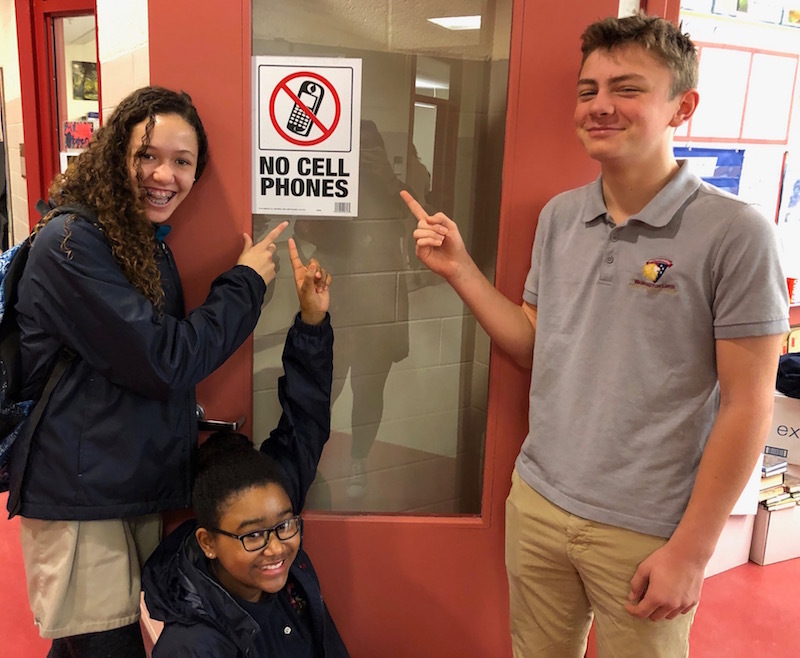 Ms. Stephens’ eighth grade advisory completed a tech-free challenge, avoiding all technology during advisory and the school day. Students conquered their technological addictions and were rewarded with a pizza party. Middle Schoolers are reminded that their phones should be out of sight from 8:10-3:15.